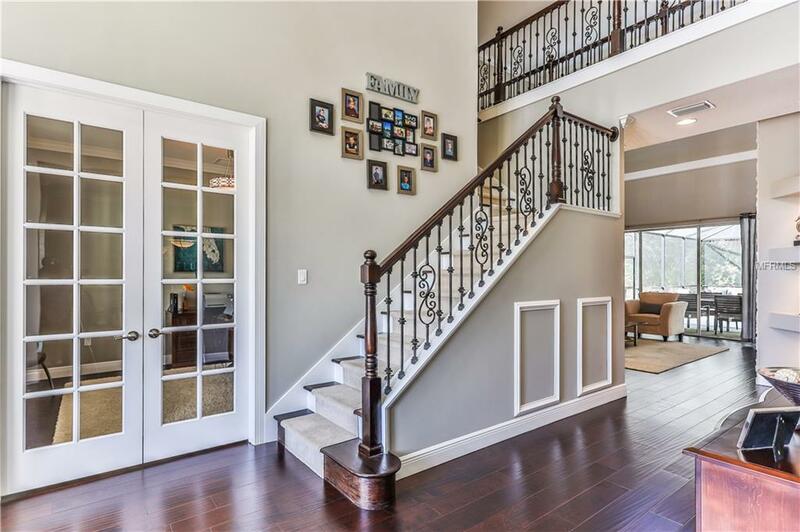 Located in the highly desirable community of Southern Hills Plantation. 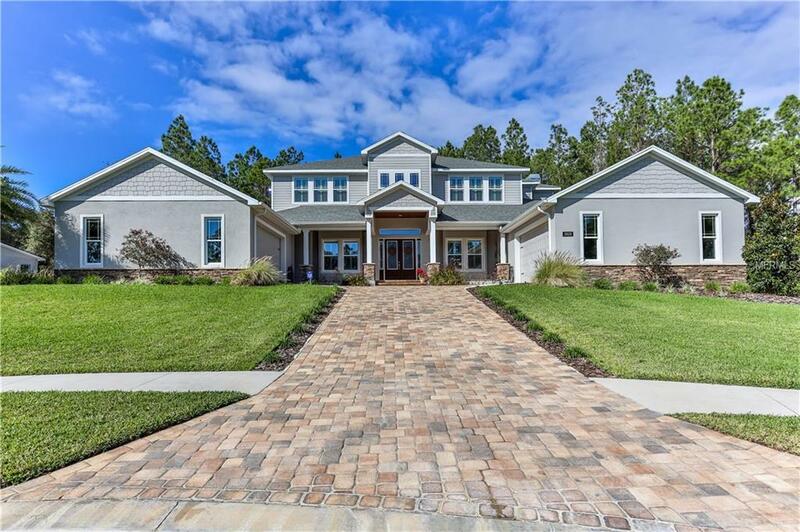 A true 4 bedroom, 3 full bathrooms, 2 half bathrooms, office, large upstairs loft/game room, and formal dining room with 4442 living sq feet and over 6800 total sq feet; this craftsman beauty has the perfect space for everyone in the family. The large gourmet kitchen features one of a kind hand crafted cabinetry, level 4 granite countertops, island, commercial grade gas stove with insta water, designer lighting, and wine cooler. It is perfect for entertaining and opens to a bright and cozy living room with gas fireplace and half bath. The second living room boasts a floor to ceiling granite stacked stone fireplace, half bath, custom molding, and pool view. Located on the main floor, the master bedroom and spa style bath feel like an oasis for peace and relaxation. The office is situated at the front of the home with beautiful french doors and a stunning east view of the rolling hills. 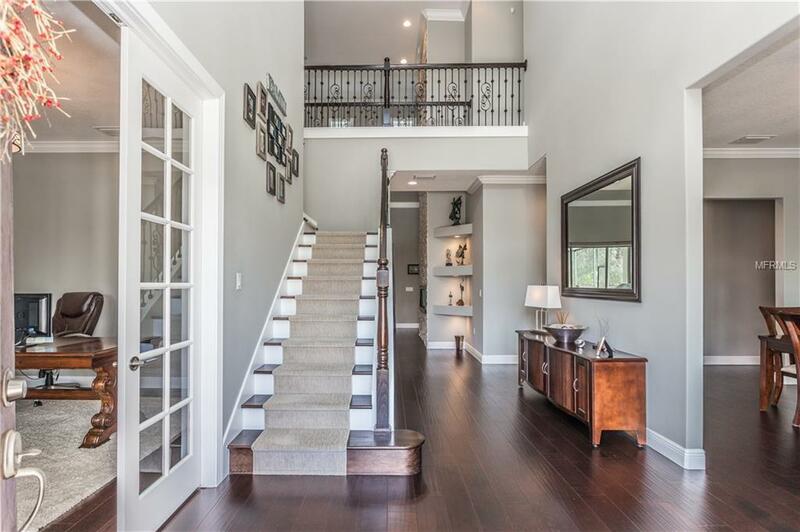 Dual staircases lead you to the flexible upstairs area with large 2nd master suite, game room/loft, two large guest room with spacious jack and jill bathroom, and tons of closet/storage room. Welcome to the resort style saltwater pool with spa, lounge area, outdoor grill, pocket sliders to open the entire home to the pool area, beautiful travertine pavers, and gorgeous tongue and groove ceiling. Additional features; wired and ready for an elevator, plumbed with natural gas, wired for security system, and wired to be a "smart home". Amenities Additional Fees A Min Of Social Membership is Required With Purchase Of Home/Lot in Southern Hills Plantation. Levels And Prices Vary.